The images may be used for editorial purposes in magazines, newspapers and online to promote “Gridiron Glory: The Best of the Pro Football Hall of Fame,” Sept. 24, 2016 to Jan. 15, 2017, at the Minnesota History Center. Credit information is listed. 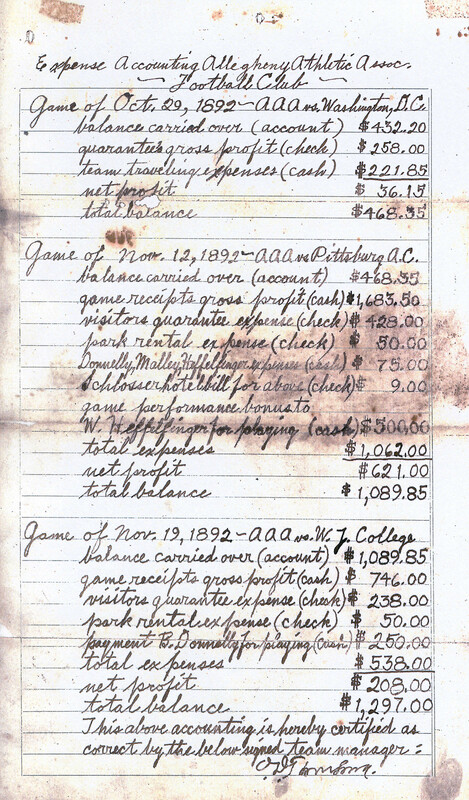 Accounting ledger that shows William “Pudge” Heffelfinger was paid $500 by the Allegheny Athletic Association Football Club in 1892, making him the first professional football player. Heffelfinger was born in Minneapolis and in 1895 coached the University of Minnesota football team. 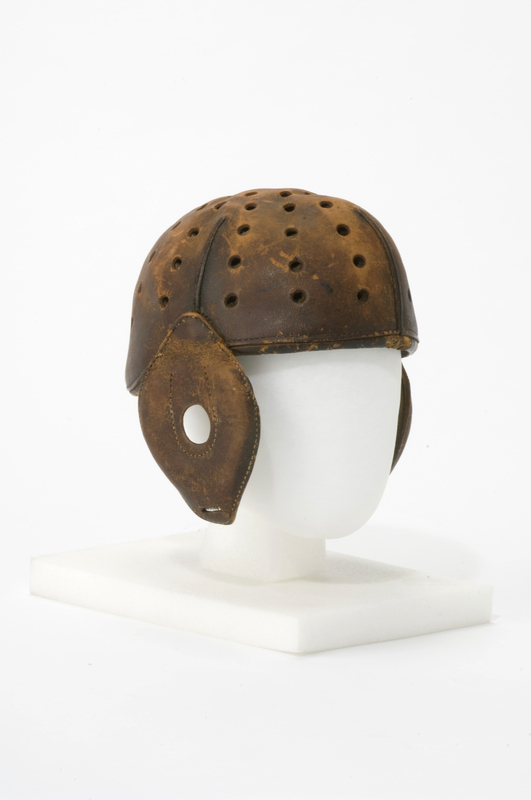 Helmet worn by Knute Rockne while playing for the Massillon Tigers in 1919. A native of Norway, Rockne played professional football for Massillon and the Akron Indians in the Ohio League before going on to a legendary coaching career at the University of Notre Dame. 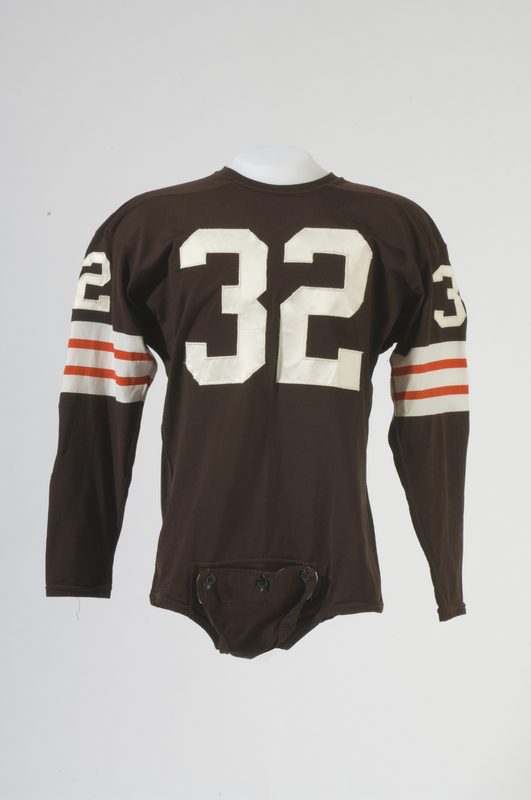 Jersey worn by Jim Brown while playing for the Cleveland Browns in the 1960s. A four-time MVP, Brown is widely considered one of the greatest football players of all time, establishing many records as a running back for Cleveland from 1957 to 1965. He was inducted into the Pro Football Hall of Fame in 1971. 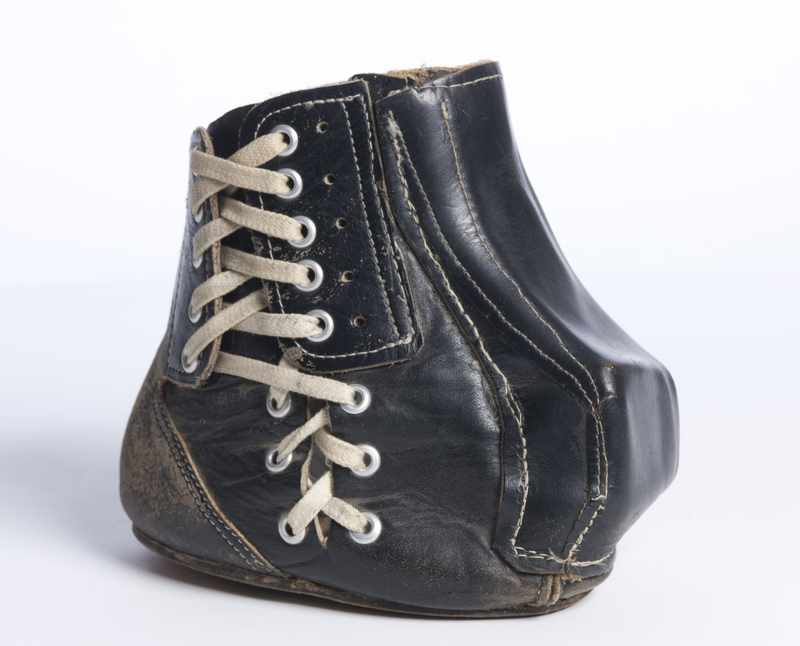 Kicking shoe worn by Tom Dempsey when he set an NFL record for the longest field goal in history at 63 yards while playing for the New Orleans Saints in 1970. Dempsey, who was born without toes on his right foot, spent 11 seasons in the NFL. 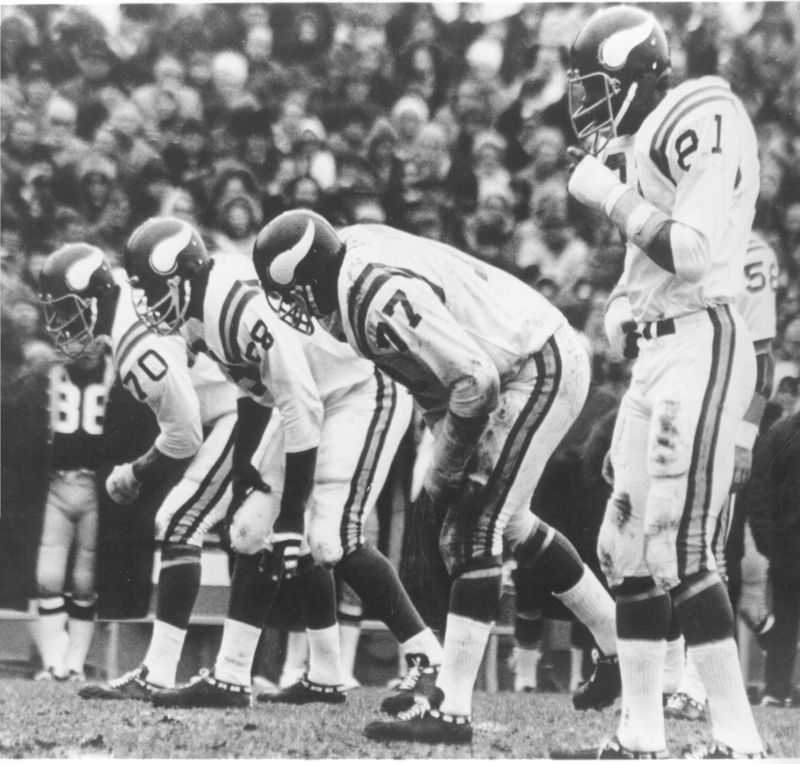 The “Purple People Eaters”—Jim Marshall (70), Alan Page (88), Gary Larsen (77), and Carl Eller (81)—line up to take on an opposing offense during a game in the early 1970s. The foursome formed a dominating defensive line for the Vikings in the late 1960s and early ’70s. 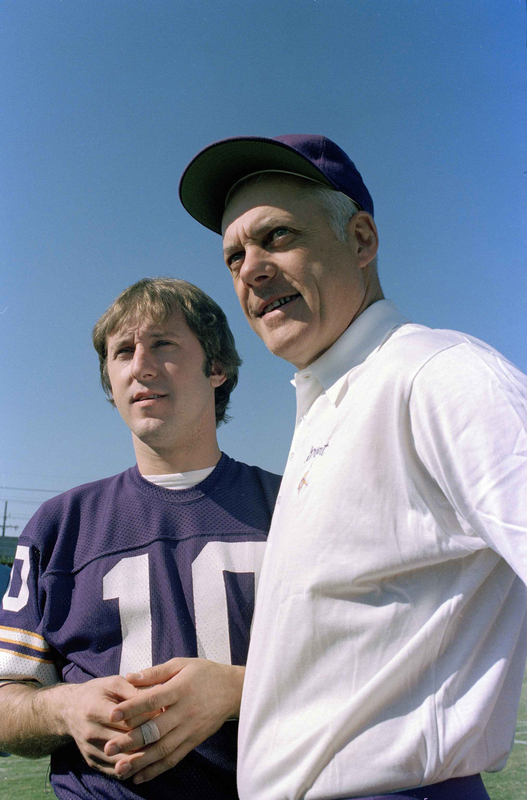 Vikings quarterback Fran Tarkenton poses with head coach Bud Grant in the early 1960s. Tarkenton led the Vikings to victory in their first regular season game in 1961 and went on to spend 13 seasons with the team. In 1986, he became the first Vikings player to be inducted into the Pro Football Hall of Fame. Grant coached the Vikings to four Super Bowls and an incredible streak of 11 division titles in 13 seasons. He was inducted into the Hall of Fame in 1994. 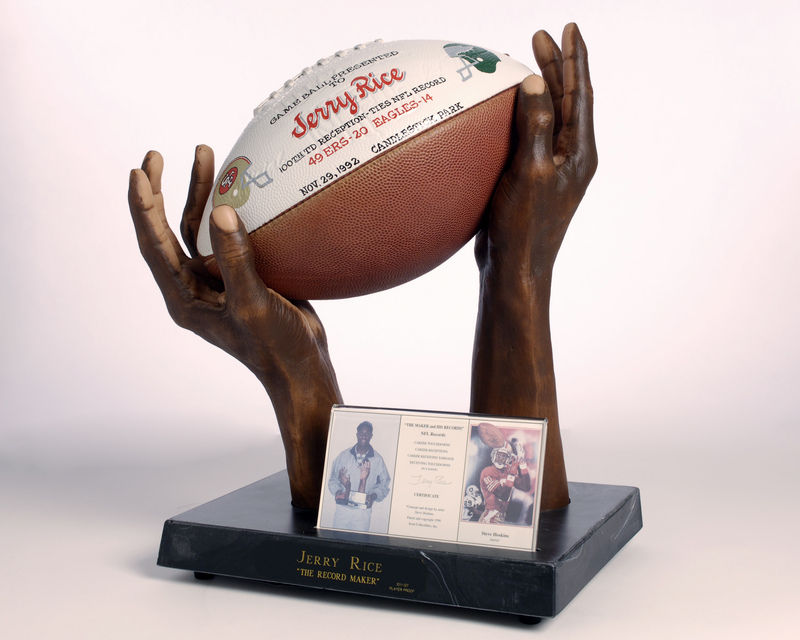 A mold of Jerry Rice’s hands and the ball that he caught when he tied the NFL record for most career receptions in 1992. 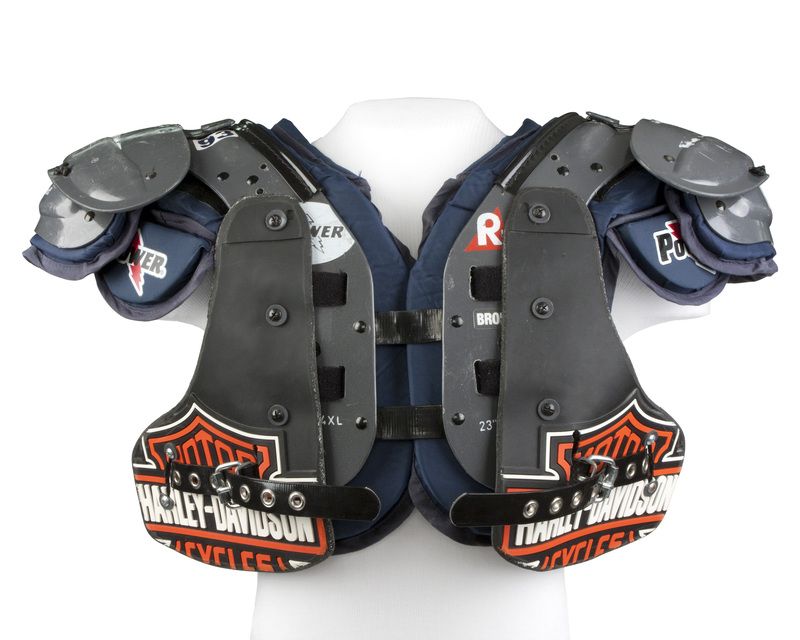 Shoulder pads worn by John Randle, defensive tackle for the Minnesota Vikings and Seattle Seahawks, 1996-2003. Randle was a six-time All-Pro as a member of the Vikings and was inducted into the Hall of Fame in 2010. A playsheet and helmet used by Hall of Fame running back Emmitt Smith are on display. Smith is the NFL’s all-time leader in rushing yards, rushing attempts, and rushing touchdowns. 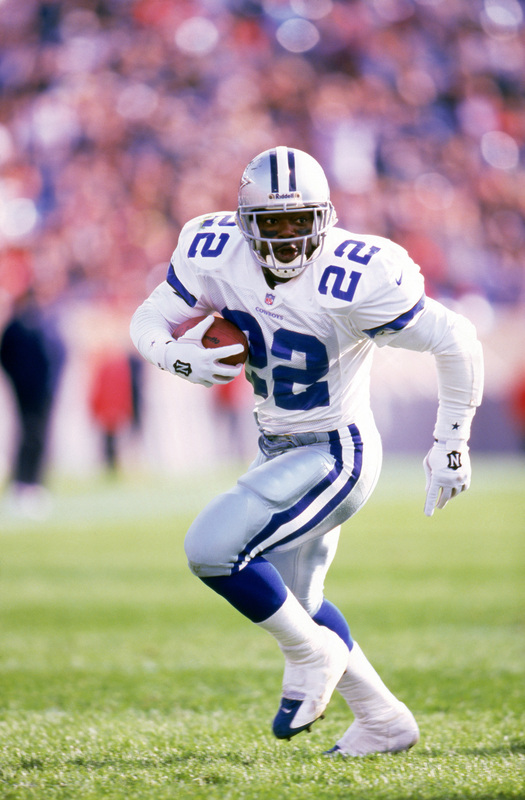 He broke Walter Payton’s record for career yards in 2002 while playing for the Dallas Cowboys. 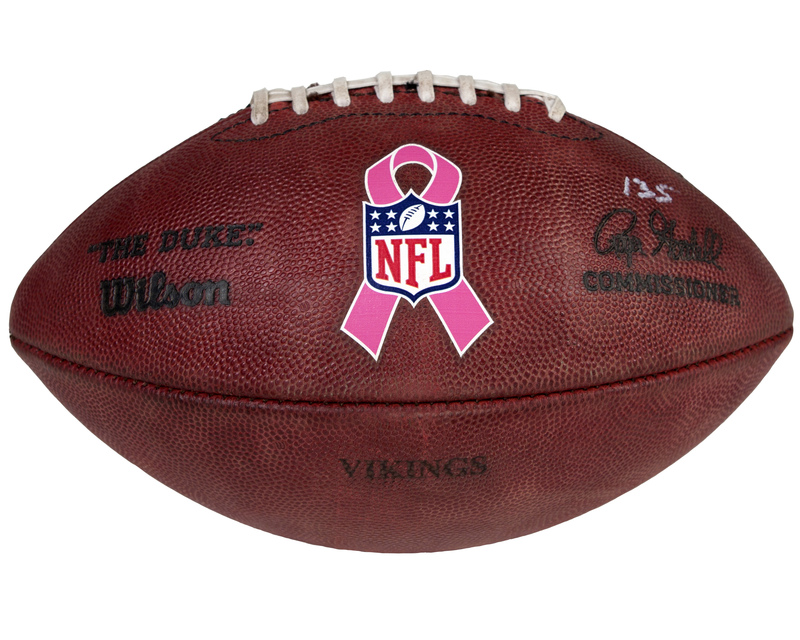 Football thrown by Brett Favre while playing for the Minnesota Vikings in 2010 when he became the first player in NFL history to throw for more than 70,000 yards. Favre, who played 20 seasons in the NFL, is the all-time leader in passes attempted and completed.